Carvacrol, Dostenkraut, European Oregano,Mountain Mint, Huiled’Origan, MarjolaineBâtarde, MarjolaineSauvage, MarjolaineVivace, Mediterranean Oregano, Oil of Oregano, Organy, Origan, Wild Marjoram, OriganEuropéen, Origano, Origanum, Origanum vulgare, ThéSauvage, Thym des Bergers, Winter Marjoram, Wintersweet. Oregano is a perennial plant of the family Lamiaceae. It grows in scrub and clearings in stony places and rare forests mainly in the foothills and mountains around the country until about 1600m altitude. The dried stems are a good substitute for tea. The herb is native to the Mediterranean district. It has additionally been used in the preparation omelettes, soups, pickling and sauces. It is the main ingredient in the kitchen as aseasoning to enhance the aroma. Dried Oregano is being utilised as aseasoningin the preparation of pizzas, fish, chicken and other meat dishes. Oregano leaves are anextraordinarycombination with green fruit salad. Oregano can be sprinkled over salads of vegetables and cheese. The dried oregano is additionally usedas a part of numerous alcoholic drinks and cocktails, snack foods, milk products or condiments and relishes. Oregano is used for the treatment of flu, colds, stomach upsets or painful menstruation. The leaves of the oregano plant have antispasmodic, antiseptic, carminative, diaphoretic, increase bile secretion, expectorant and stimulant. Oregano has been found to have antibacterial, antifungal and antiseptic activities. Increase the digestion ability by increasing the secretion of gastrointestinal juices. Oregano containscompounds that are known to have health promoting and disease preventing properties. 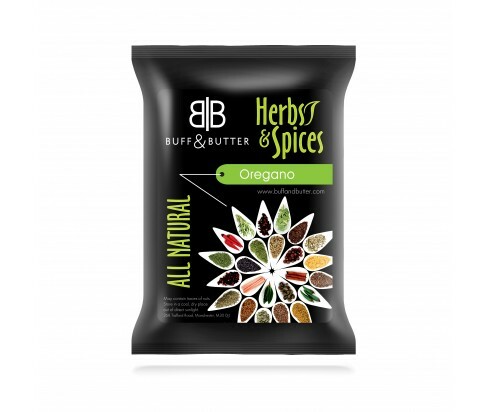 Dried oregano create resistance against inflammatory radicals and infections. In Ancient Greek, oregano signifies Joy of The Mountain. The Ancient Greeks also believed that you will dream about your future wifeif you anoint yourself with oregano. Oregano is forming a clump, which can be counted out 80-100 stems and every year grows new stems. It reaches a height of 80 cm, as the tops of the plant's branch out and forms umbrella-like flowers, which gathered a large number of small-flowered pale pink or white with brown cups. Oregano can be grown in any soil and is propagated by seeds.